Selalu is a three-piece band performing original songs that draw on folk and country roots featuring vocals, harmonies, 12 string, acoustic guitars, bass and mandolin. 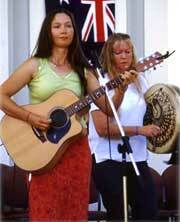 They take their audiences on a journey with a diversity of songs that are lively and melodic. Their ballads are touching and moving. Trevor, Kathleen, and Tully combine their talents to form the Selalu sound. 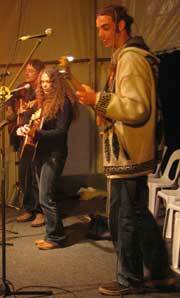 To date they have performed at venues at the National Folk Festival in 2005 and 2006, Majors Creek Folk Festival 2006 and at various folk and acoustic venues, concerts, and hotels in and around Sydney. The Mothers of Intention is a spirited four-piece band sharing a love of music and an enduring friendship. 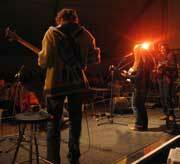 With vocals, guitars, fiddle, mandolin, recorder, bodhrans and doumbek. Our extensive repertoire includes a vibrant mix of Celtic, folk, original and folk-inspired covers. From Irish standards, soulful ballads sung in three-part harmony to fast jigs and reels and slow airs. An eclectic mix of music to dance or listen to. James was born in 1992 and has been playing guitar since he was 10. He has played in a number of bands. As a solo artist, James debuted on the streets of Manly as a busker and after a very successful win at the annual Manly Wharf Big Youth Busking competition he has gone on to open for Angus and Julia Stone at the Mona Vale Pittwater Art festival, opened the Councils Art Exhibition at Avalon and warmed up the crowd at last years 24/7 youth film festival at Warriewood.